It's time for the progressive movement to come to the defense of one of our courageous African American community leaders, Rev. 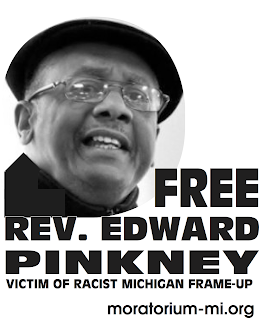 Edward Pinkney of Benton Harbor, Michigan. A little over two years ago, in mid-June, hundreds of unemployed African American young people in Benton Harbor rose up in anger after 28-year-old Terrance Shurn died following a high-speed chase after him by local police. When 50 people gathered the next evening for a prayer vigil, police moved in and ordered them to disperse. When they didn't immediately do so, the cops threatened arrests, tensions escalated, and the people's anger broke open. For two nights hundreds of people demonstrated in the streets, setting fire to approximately 30 buildings and battling with police. According to local United Church of Christ minister F. Russell Baker, all but two of the buildings were abandoned: "The rioting was focused in two areas. One was anger at the police. The other was at the abandoned houses. The reaction of those who were rioting was against the neglect. But it was a focused riot." For several days national media attention was riveted on this small town, 92% black, on the southeastern side of Lake Michigan, about two hours from Chicago. Predictably, many articles referred to the poverty and unemployment in Benton Harbor, where 1/3 of its households have annual incomes below $8,000 and unemployment is at 65%. Democratic Michigan governor Jennifer Granholm said, "I can promise them an ear, I can promise them that I will send in a team, I can promise them we will make Benton Harbor a priority as we are with our cities. Benton Harbor is an example of why we've got to focus on our urban centers." Also predictably, after a period of time, media attention and state politician attention virtually disappeared. But local minister Rev. Edward Pinkney and others in the organization, Black Autonomy Network of Community Organizers (BANCO), stepped up their efforts to address the burning issues of Benton Harbor. One of their actions was to organize a successful recall of one of the town's city commissioners, Glen Yarbrough, who was a strong supporter of many of the most racist and abusive police officers. Yarbrough also worked closely with the Whirlpool Corporation, the largest employer and the major power in Benton Harbor. Yarbrough and Whirlpool have been collaborating on plans to knock down a senior citizens building and replace it with upscale homes in an area by the lake, as well as to build an exclusive golf course. After the successful recall, Yarbrough and other city officials produced a witness, Mansel Williams, a substance abuser and ex-offender, who told prosecutor James Cherry that Rev. Pinkney had paid him $5 to vote against Yarbrough. He later made a tape in the mayor's office and signed an affidavit stating that Yarbrough had paid him $10 to say that Pinkney had paid him $5. Mansel never came to court to testify. Another government witness, Brenda Fox, was threatened with a prison sentence if she did not testify that Pinkney had paid people to vote; she had earlier signed an affidavit stating that she was paid to pass out flyers and work the polls, nothing more. Pinkney's supporters in the area have rallied to his side. In late May a supportive demonstration was held which included both local people and people from throughout Michigan and Illinois. Desperately-needed funds are being raised for his legal defense. Rev. 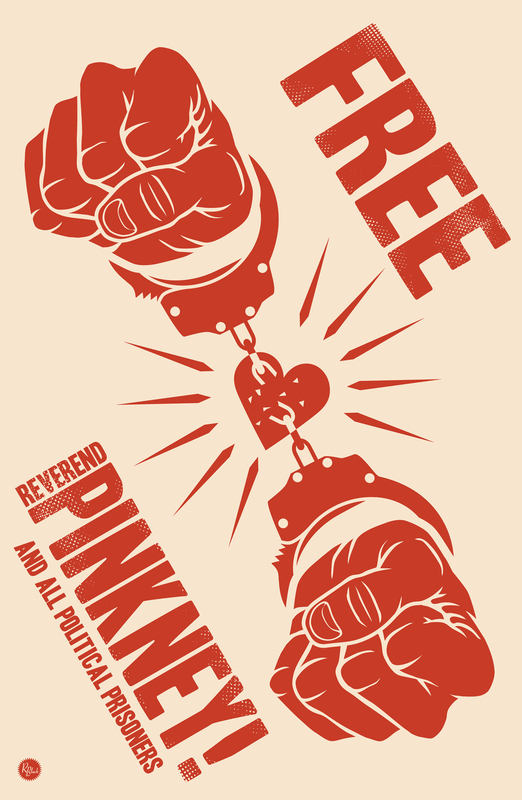 Pinkney is facing the threat of bankruptcy because of this and other attacks against him. It's a familiar scenario for progressive leaders of color who refuse to back down in the face of government/corporate injustice. It's another example of the racist nature of our so-called "criminal justice system," its susceptibility to corruption in furtherance of the agenda of the rich and powerful. And it's a situation which calls for support, financial and otherwise, from all those who consider themselves progressive. Let's not emulate the corporate media and the two-party politicians who speak words of concern when the daily reality of injustice and oppression is cracked open a bit but who then take no action afterwards. We must defend our leaders and expose those who trample on our rights so they can maintain oppressive power and gross economic and racial inequality. Donations can be made or information obtained by writing to BANCO, 1940 Union St., Benton Harbor, Mi., 49022, calling 269-925-0001, or emailing banco9342@sbcglobal.net. not of computer models but of the human heart and soul."